The Leadership Council of the Northern Virginia Affordable Housing Alliance is a leading regional coalition of cross-sector industry professionals representing organizations engaged in housing development, finance, policy and supportive services. Our organization knows first-hand that housing affordability is a generational challenge for the entire region. Our members work individually and collectively to produce, preserve, finance, and manage mixed-income housing, and support active collaboration among jurisdictions and community stakeholders to collectively address that challenge. We appreciate this opportunity for comment before your vote on the benefits package for Amazon on March 16. Amazon’s selection of Arlington for its HQ2 headquarters brings tremendous opportunity to the region and reflects the commitment to fundamentals that make this community desirable – good schools, an expansive transit network, an educated workforce and a place that is diverse and inclusive. It is an exciting place to live. But it is also an expensive place to live—and getting more costly every day. Even though Arlington is one of the nation’s wealthiest counties, one out of three children qualify for free and reduced lunch. Even though we boast a high median wage, at least a fifth of the jobs—essential jobs in healthcare, education and food service—pay wages insufficient to meet basic needs. The Amazon HQ2 discussion has expanded the conversation of affordable housing to a broader audience and created a sense of urgency. The challenges of affordable housing have existed for some time: Arlington and Alexandria together have lost about 90% of their existing market affordable housing stock. Families of four earning $70,000/year—the eligibility threshold for much of our committed affordable housing stock—have very limited housing choices in our close-in suburbs. The situation is even more dire for those households with lower incomes. The answer to these challenges lies in a regional commitment by all public and private stakeholders to drive social innovation and create inclusive, welcoming communities in ways and at scales never attempted before. 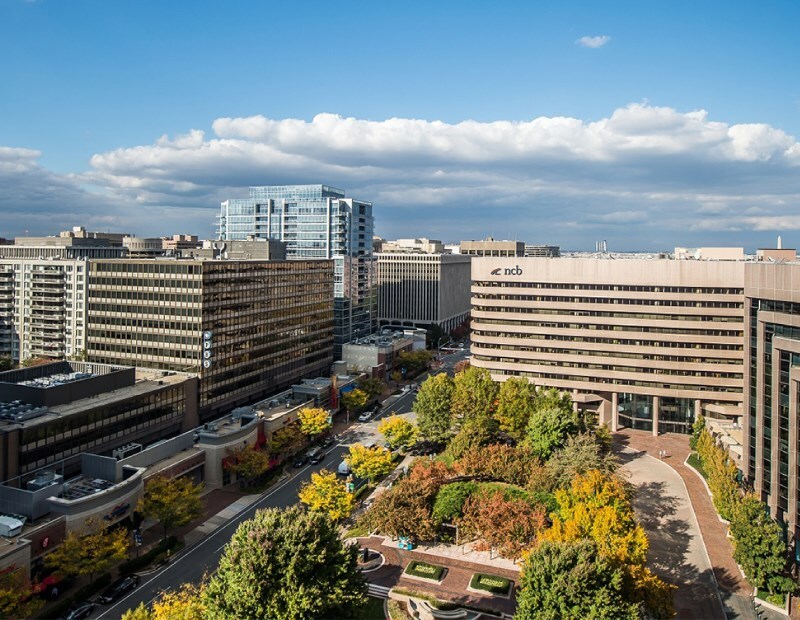 Social innovation is at work when local governments in Arlington, Alexandria and across the Greater Washington region document the dramatic loss of market affordable housing and set ambitious targets for increasing the region’s affordable housing supply. Our communities demonstrate innovation through effective financial and zoning tools that increase our supply of committed affordable housing and reduce homelessness. We have created national models with affordable homes co-located with houses of worship, fire stations and community centers. While the Amazon incentive package identified $30 million per year in funding for affordable housing from the Virginia Housing Development Authority, Arlington County, and the City of Alexandria, we expect that more will follow given the increase in real estate tax revenues, both locally and at the state level. We will look to the leadership of the Arlington County Board to make new, additional affordability commitments to existing residents, and future ones, through increased public resources and policies – from AHIF to housing grants, and in land use and policies. Today we will focus on the explicit matter at hand, which is one important – but only one – part of the equation on how to provide sustainable housing preservation and production goals that ensure a thriving economy and equitable access to opportunity for all. As Amazon moves into the community, we welcome the 25,000 high-paying jobs and the attraction of new businesses to the region. We look forward to an opportunity to engage with Amazon staff as they learn that while we are a prosperous region, not all households are enjoying prosperity. Throughout the DMV, prominent business leaders have identified housing affordability as essential to the economic health of our region. The Housing Leaders Group of Greater Washington and the Greater Washington Partnership are engaged in regional housing dialogue with local elected officials, anchor community institutions, philanthropists and nonprofit organizations to promote best practices that increase capital for housing production, and lower the cost of affordable housing development. It is through regional collaboration that progress will be made, and we encourage Amazon to actively engage in this vital conversation. So we welcome Amazon. With their innovation, political clout and financial resources we hope that they arrive ready to be a part of the affordable housing solution as well. As a region, we have an exquisite awareness of our housing shortages and a policy infrastructure in place to address them. We invite Amazon to meet with our Leadership Council to hear firsthand about the proven solutions and returns on social and financial capital that address our housing challenges, and work with our experts on the ground in Northern Virginia on clear actions and roles they can take to contribute meaningfully to those solutions. Most of all, what is needed is the political will (and the resources that go with it) to prioritize housing, the platform for individual stability and family success. We want to ensure that the regional benefits of HQ2 are shared equitably across all income levels. No one should be disadvantaged as a result of Amazon’s location here. The Northern Virginia Affordable Housing Alliance will use this moment to reaffirm our commitments to expanding housing affordability across the region through community outreach, advocacy and collaboration among jurisdictions and community stakeholders. So yes, we support the Arlington County Board’s proposed actions to bring Amazon to Crystal City in anticipation that increased revenues will provide additional funding for affordable housing programs. Economic development executed with an overriding focus on social equity can benefit everyone. We are a diverse and caring community. And social innovation lives here.